With links across both the UK and Europe, learning to drive in Ashford gives you a continent to explore. Learn more about our Ashford intensive driving courses here. Here in Kent’s cathedral city, you can get on the road quickly with PassMeFast. Click here for more information about our Canterbury courses. Want to hit the road in Dartford? Learn more about PassMeFast’s courses in this part of north-west Kent, and see just how quickly you could be on the road. Learn more about the courses we offer in Dover, Deal and Sandwich, and see what PassMeFast courses different. Living on the Kent coast? Read up on the courses we offer in Folkestone, Hythe and the surrounding area, and see how you could pass fast with us. Want to know more about our driving lessons in this area? Click here to get the complete lowdown on our Gravesend courses. 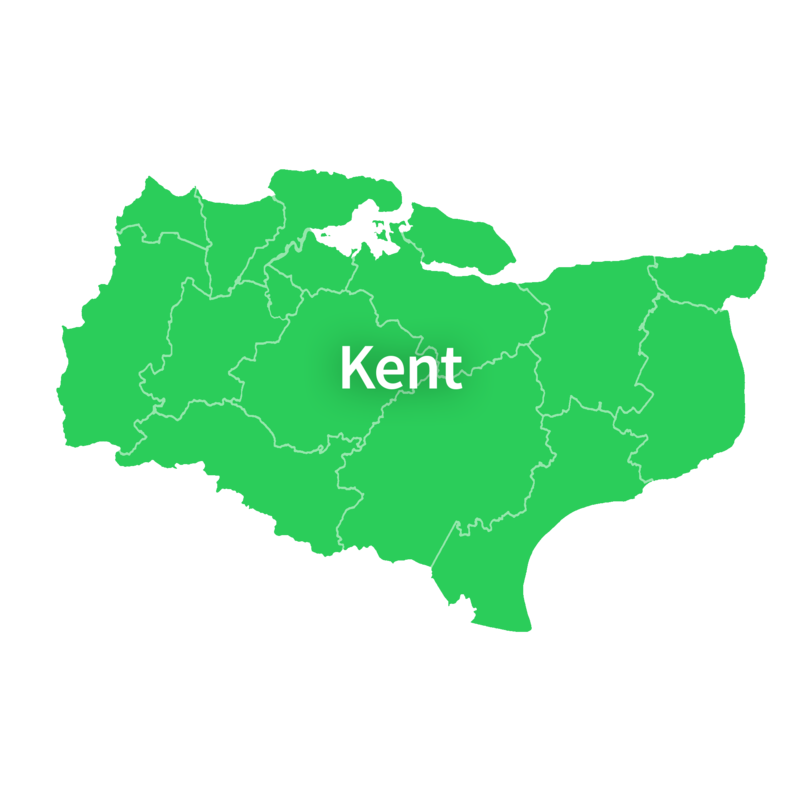 Live in Kent’s county town? PassMeFast makes it quick and easy to get on the road—read more about our Maidstone courses here. PassMeFast offers intensive courses across the Medway Towns. Learn more about our courses in Chatham, Gillingham, Rainham, Rochester and Strood here. Here in this rural part of Kent, getting on the road is the best way to get around. Learn more about what we have to offer in Sittingbourne, Sheppey, Faversham, and across the Swale area. Live in Thanet? You could pass with us in weeks—click here for more information on our courses in Margate, Ramsgate, Broadstairs and beyond. For information on our intensive and semi-intensive courses in the Tunbridge Wells area, including Tonbridge and Sevenoaks, click here.